After the departure of Kim Tuin, the management of the Stichting NDSM-werf will be formed by Demian de Rooij (General Director) and Lucas Bonekamp (Business Director). They are both currently employed by the foundation. The new management is currently being appointed for a term of one year. It has been a conscious decision of the board to seek internal follow-up of management. President Thomas van Dalen: “With Demian de Rooij and Lucas Bonekamp, ​​the continuity of the Stichting is guaranteed. With their both experience and background, they are currently the right people to lead the Foundation NDSM site. We look forward to this cooperation with confidence and wish them all the best. “Demian de Rooij will focus on management and (commercial) events, while Lucas Bonekamp, ​​as business director, will be responsible for business and art programming. Stichting NDSM-werf manages and programs the outdoor area of ​​the NDSM site and, in its role of director, together with the community and other collaborative partners, it works on a broad cultural program. Thus, on the initiative of the Stichting this year, Sociëteit Sexyland was realized and Fatberg by artist Arne Hendriks was developed at the site. 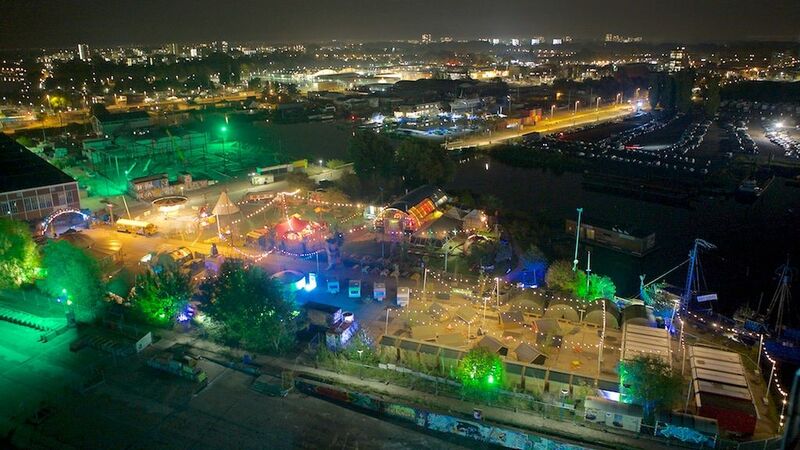 In addition, the Stichting NDSM-werf acts as host for festivals such as DGTL and Pitch, and other events on the site. For the policy period 2017-2020, the Foundation receives a multi-annual grant from the Amsterdam Fund for the Arts for the achievement of an ambitious artistic program. In the ‘Ruimte voor de Stad’ policy plan, the Stichting commits itself to convincing the world – but at least Amsterdam – of the unique status of the site as a place of lasting temporality and creative experimentation. Kim Tuin has used energy and passion for these efforts in recent years. The board therefore deplores its departure very much. The Stichting NDSM-werf will further develop the vision and plans developed by her in the near future.